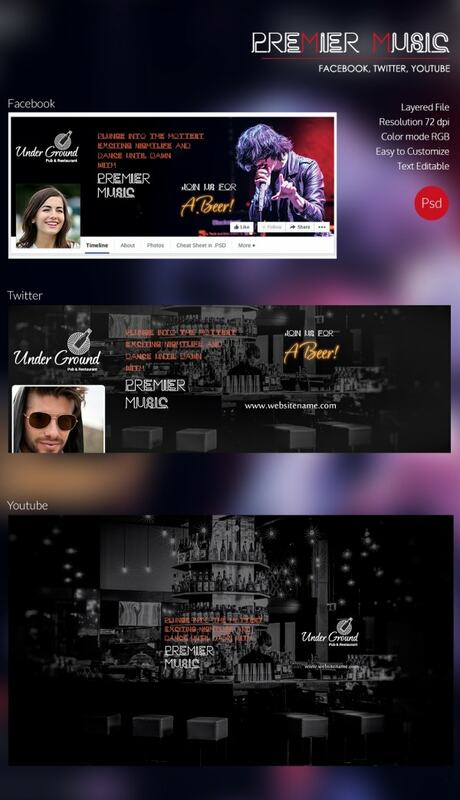 Running a pub is not an easy task, given its multifarious aspects like brochures, flyers, posters, postcards and so on. To create any one of the above, you can take the help of these amazing templates. All these templates use high-resolution images and come on layered files. Plus, they are all easy to use and edit. 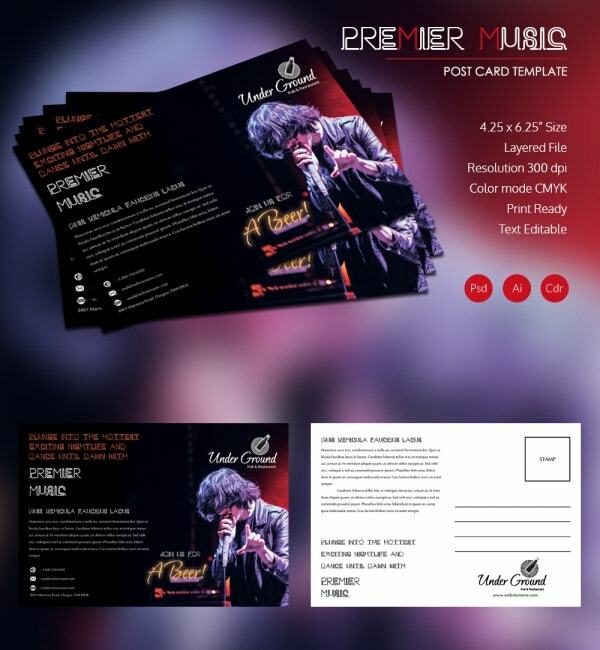 You would be able to customize the templates and personalize them as much as you want to. 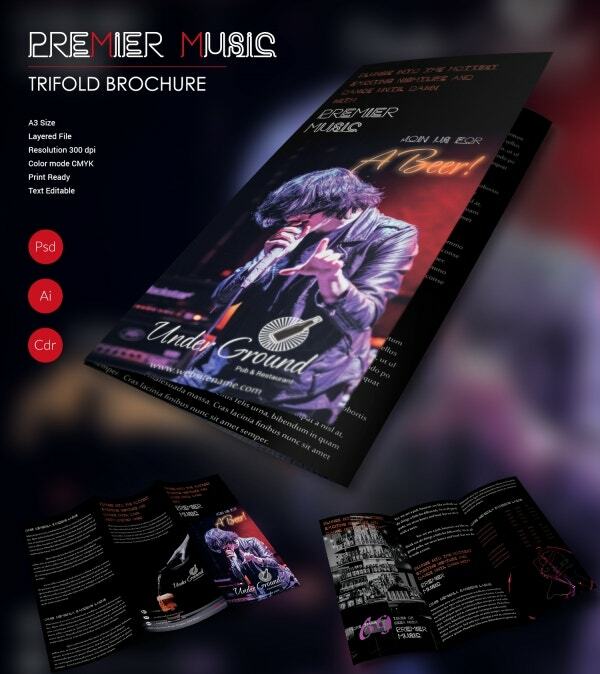 You can also see Music Flyer Templates. When you’re advertising a pub through a brochure, you could take a look at this template. The sleek black theme seems to make it look all the more attractive. 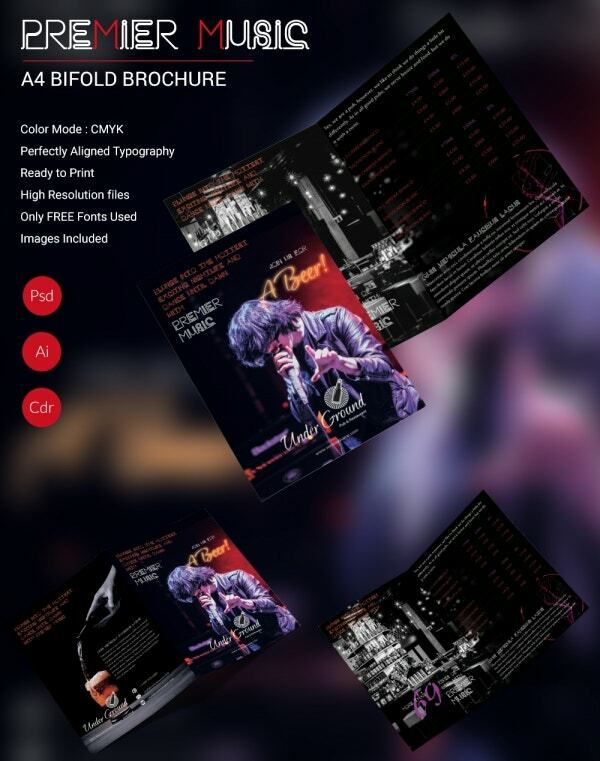 You would be getting the template in an A3 size format and would also be getting high-resolution files in a layered file. The template is all set to be printed. Two pages of solid information should be more than enough for a pub. The color mode found in the template is CMYK. Also, you would be getting perfectly aligned typography in the Publisher Brochure Template which is ready for printing. All you’ll have to do is download the template and then customize the template according to your needs. 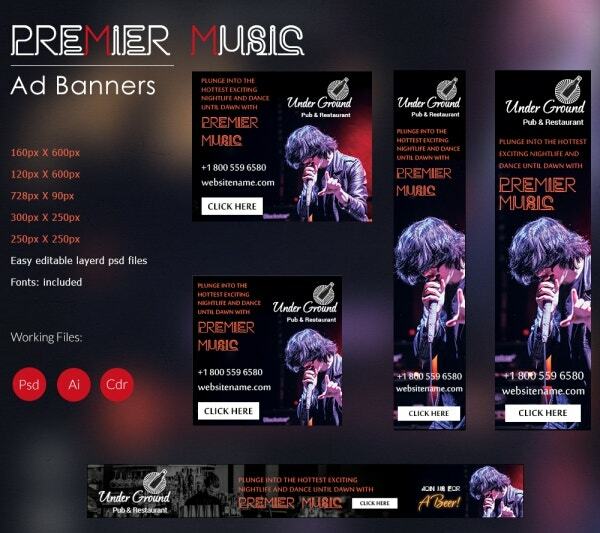 Ad banners are your best option in case you’re planning to advertise a pub. 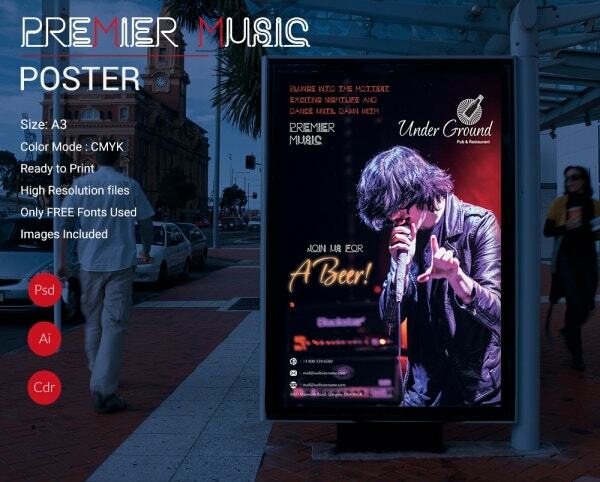 Here, you would be getting five ad banners in different sizes and ready for print. You can download the template and then use each ad banner for a different purpose. These are all easy-to-edit, layered PSD files and you would be getting fonts. For a billboard, you can use this template. You will be able to use this template any way you choose. You would be getting a billboard of size 12 x 6-inch with a layered file. You would also be getting files with a fairly high resolution. The text on this template has been kept fully editable and customizable and also it is all set for printing. A business card needs to be simple yet eloquent. And that is exactly what you get with this template. The smart black background is one to watch out for. 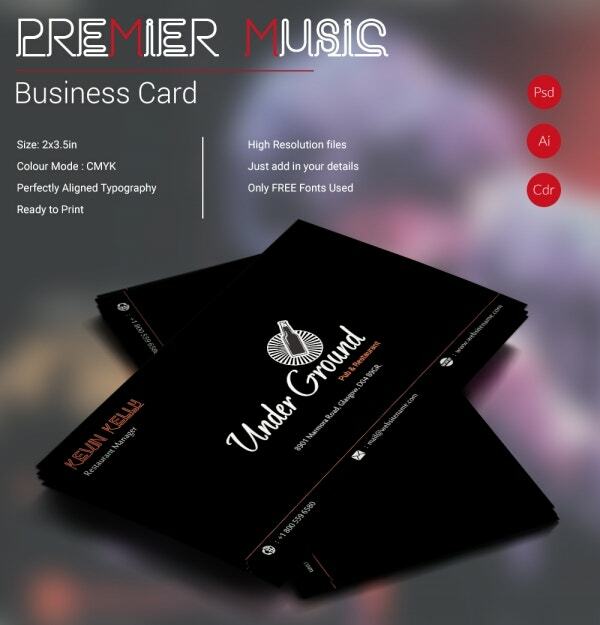 You would be able to use the template to personalize your business card and create your own. Once you download the template, you can start editing the details. 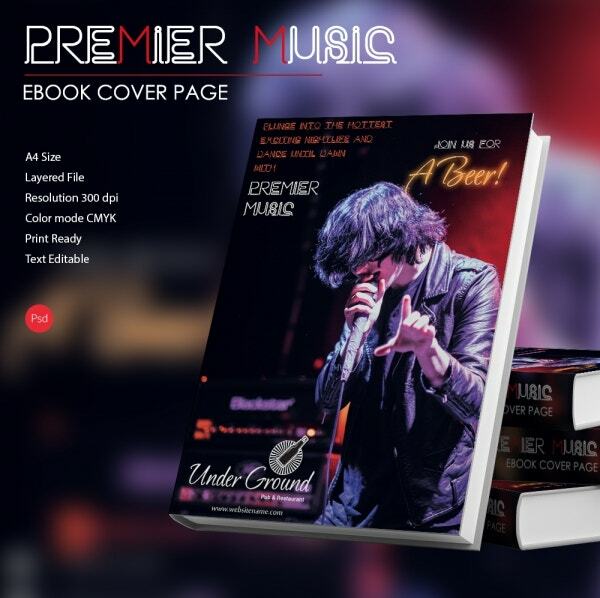 To create an eBook cover page, you can take the help of this template. The template for an eBook cover page comes in an A4 size format. It also comes in high-resolution and in a layered file. The color mode used here is CMYK and is ready for printing. The text on the template has been made editable. In case you’re planning to create an envelope for yourself, then you could take the help of this template. 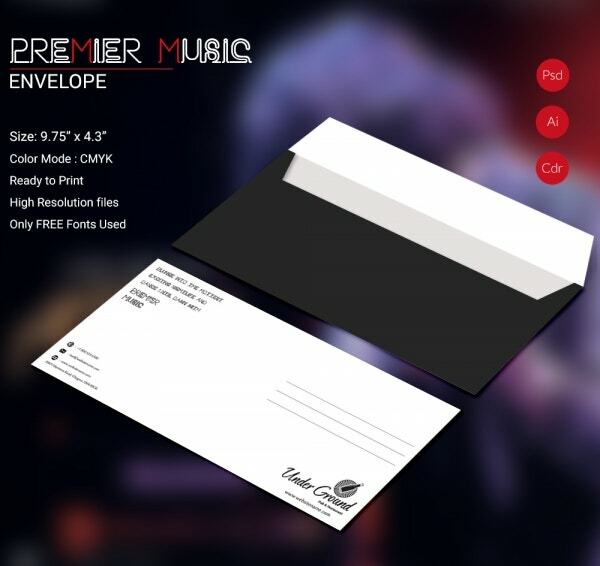 The envelope that you would be getting with the template is of size 9.75 x 4.3-inch. Also, it contains high-resolution files and free fonts. Plus, the template has been made ready for printing. 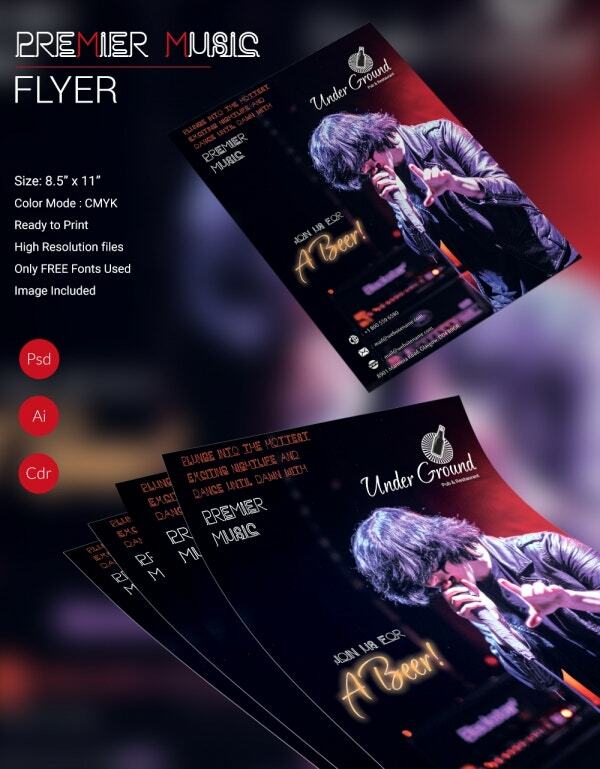 A flyer needs to be designed in such a manner that it appeals to the audience. That is one thing you do not have to worry about with this template. Here, you would be getting a sleek black-themed template that you can edit any way you please. You can personalize it to suit your needs. The template also comes in a standard size. The best part about this template is that it is fully customizable. Once you download the template, you will be able to start editing the details. 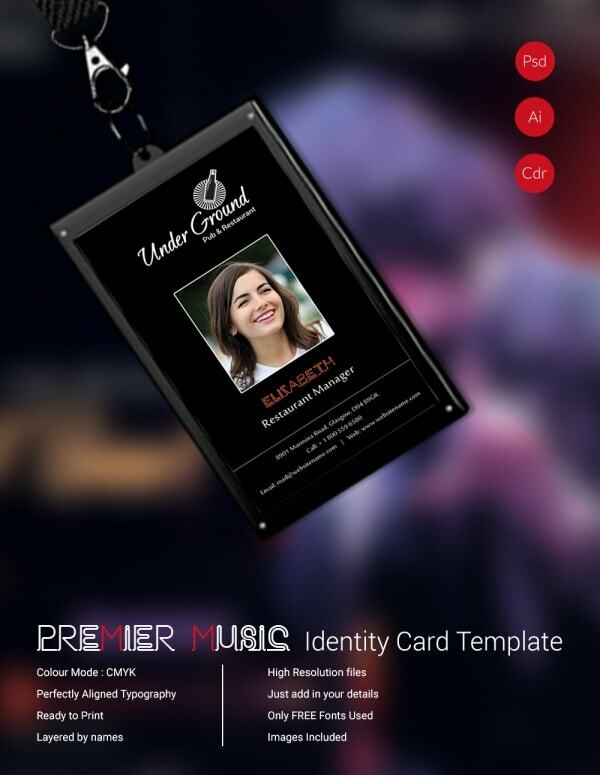 You would be able to add your own images and other essential details that an id card should have. Also, the template comes with high-resolution files. If you didn’t know this already, an invoice usually has a fixed format. The template provided here comes in the right format, so that’s one thing you don’t have to worry about. Also, you would be able to edit the template any way you please and it comes in an A4 size format which makes it easy to use. 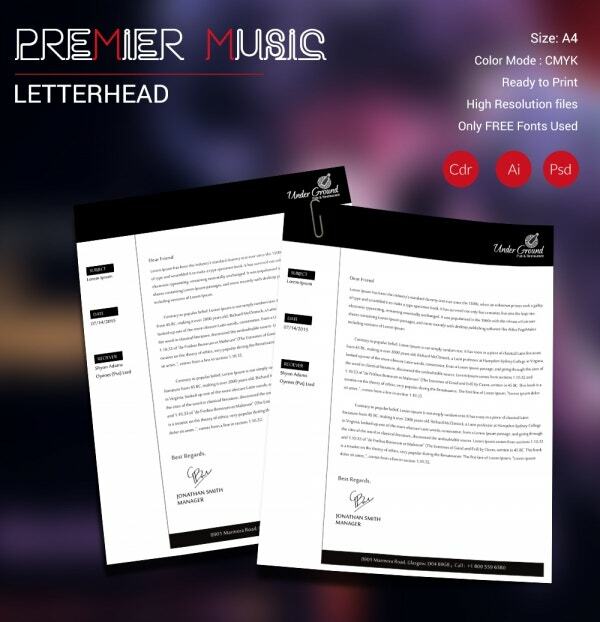 A letterhead is a must if you’re running a pub. The letterhead, in this case, needs to look formal and professional. The template that you get here is exactly that. 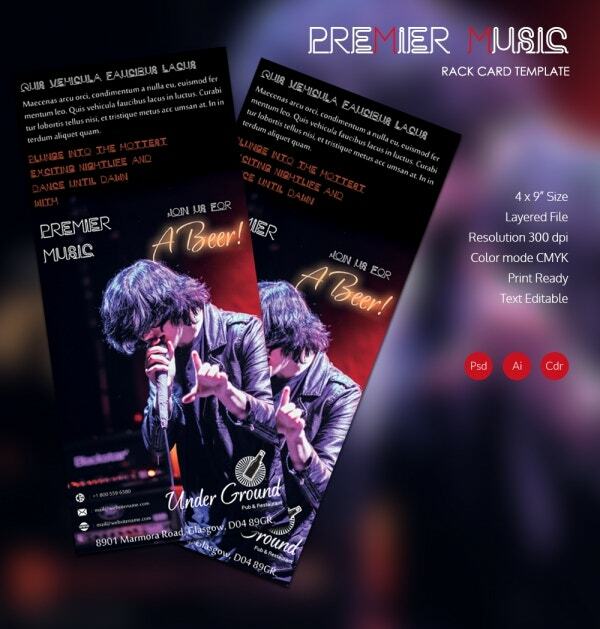 The template which comes in high-resolution files and with free fonts is all set for printing. All you’ll have to do is download the template and then edit it. If you’re planning to use this template, you can rest assured, because this template is informative and at the same time attractive. It maintains the perfect balance between text and images and that makes it more appealing. The postcard here is of size 4.25 x 6.25-inch and it comes in a layered file. The poster that you get in this template can be used for a number of different purposes. The best part is, you would be able to make use of the stunning images that you see in this template. 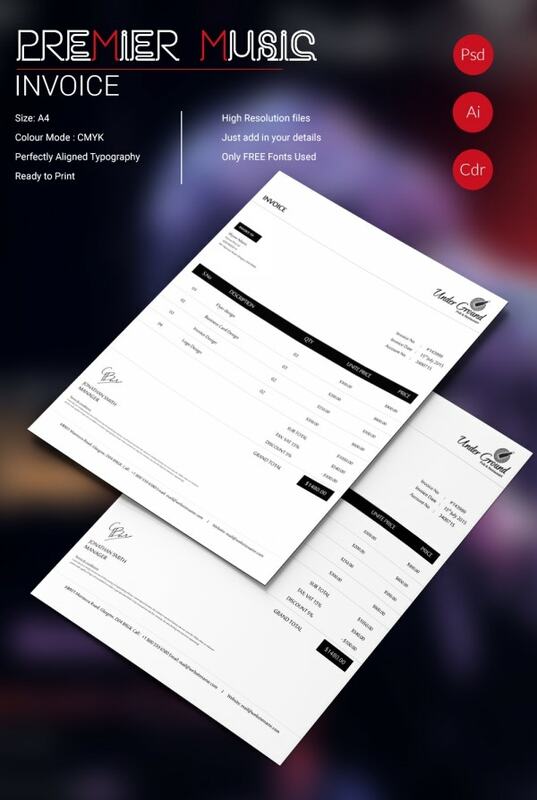 The high-resolution files that you see in this template are all set for printing. 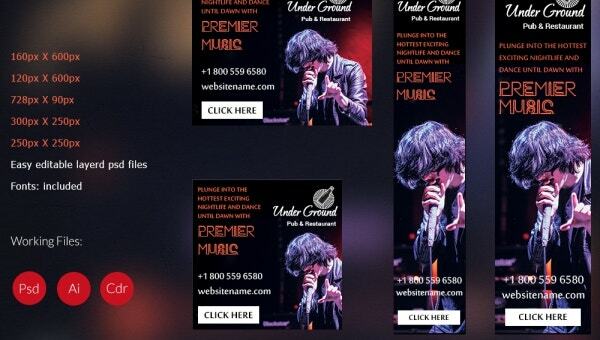 In this rack card, you will be able to add all the essential details about your pub. The template is informative and at the same time, appealing. One look at it is sure to blow your minds away. You would also be able to make use of the images provided in the template and even edit the details that you see here. If you want to gain maximum publicity for your pub, then you need to take the help of social media platforms like Facebook, YouTube, and Twitter. Now in order to do so, you would be needing specialized cover pages. To create that, you can use this template which has been designed specifically to go with the purpose.